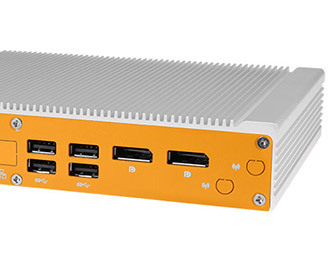 The perfect blend of reliability and versatility in a compact package featuring dual or quad-core processing, support for two full-height mini-PCIe slots, one mSATA, and options for multi-CEC functionality and Movidius. The ML350G-10 packs a punch with its energy efficient Celeron N3350 Dual-Core or Pentium N4200 Quad-Core CPUs. Multitasking is a breeze with support for up to 8 GB of DDR3L memory and triple independent displays. 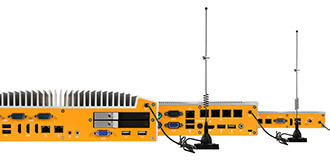 Form meets function with available features like Extrovert 4G LTE connectivity, great for enabling remote access or fail-over protection). The system also features Intel Platform Trust Technology (PTT), key management for Windows 10, and hard drive encryption via BitLocker, perfect for banking or medical applications to secure sensitive data. Limited on space? The ML350G-10's low 1.5" profile can be installed in almost any industrial application with support for DIN, VESA, and wall mounting solutions. 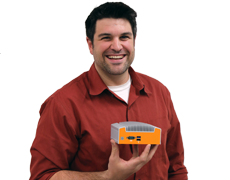 Rest easy knowing sensitive internal components are sealed and protected from dust, debris, chemicals, and moisture with Logic Supply's integrated Hardshell™ Fanless Technology. Its rugged design, wide 9~24V power input, and removal of moving parts dramatically improve the lifespan of the system. The ML350G-10's modularity also makes it a perfect choice for branding, labeling, and other customization options. The ML350G-10's purpose-built I/O was engineered specifically for the needs of industrial computing. 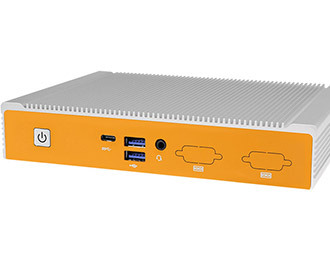 It seamlessly connects to modern and legacy peripherals with seven USB ports (including two USB 3.0 and one USB type C) and one Gb LAN port (with a second LAN port available when paired with the N4200 processor). The Apollo Lake CPU family brings improved multimedia performance, powering dual independent HD displays via two DisplayPort connectors.  The ML350G-10 is unique in its class, finally bringing CEC to the x86 playing field for simplified power control and system management (Please contact us for more details). The ML350G-10 brings connectivity to the next level and does what other systems this size can only dream of. 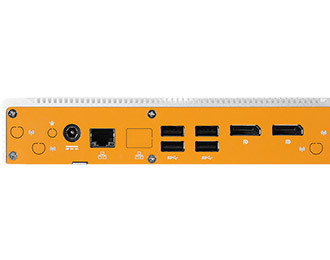 Two full height mini-PCIe slots (one full/half height one multiplexer mSATA) and one mSATA give it 4G LTE, WiFi/Bluetooth, and high-speed storage capabilities. It can also be configured to house two storage drives simultaneously, making it one of the smallest multi-drive systems available. Available is the Intel Movidius Myriad 2 vision processing unit which brings neural computing to the low profile ML350G-10.There are also options for dual COM ports or dual CAN bus expansion for industrial automation systems or retrofitting aging infrastructure.